In the philosophy of religion, reformed epistemology is a school of thought regarding the epistemology of belief in God put forward by a group of Protestant Christian philosophers, most notably, Alvin Plantinga, William Lane Craig, William Alston, Nicholas Wolterstorff and Michael C. Rea. Central to Reformed epistemology is the idea that belief in God is a "properly basic belief": it does not need to be inferred from other truths in order to be reasonable. 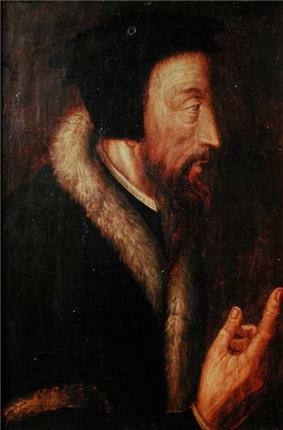 Since this view represents a continuation of the thinking about the relationship between faith and reason that its founders find in 16th century Reformed theology, particularly in John Calvin's doctrine that God has planted in us a sensus divinitatis, it has come to be known as Reformed epistemology. Reformed epistemology aims to demonstrate the failure of objections that theistic belief—and in later works of the school, full-blown Christian belief—is unjustified, unreasonable, intellectually sub-par or otherwise epistemically challenged in some way, even where one believes it without supporting argument. By contrast, many modern foundationalists, and evidentialists claim that theistic belief is rational only where one's so believing is inferentially based in propositional and/or physical evidence, and a subset of these think further that no adequate evidence is available. Reformed epistemology seeks to defend faith as rational by demonstrating that theistic belief can be properly basic — reasonable though it is not held as an inference from other truths. Reformed epistemology grew out of the parity argument presented by Alvin Plantinga in his book God and Other Minds (1967): if believing in other minds is rational though unsupported by argument, so might believing in God be rational, even if similarly unsupported. Plantinga (2000a) would later argue that theistic belief has "warrant". Roughly, in Plantinga's theory of knowledge, warrant is that property of true beliefs that makes them knowledge. What this turns out to be, says Plantinga, is the property of being "produced by cognitive faculties functioning properly (subject to no malfunctioning) in a cognitive environment congenial for those faculties, according to a design plan successfully aimed at truth" Because there is an epistemically possible model according to which theistic belief is properly basic—i.e. the one on which God has designed our cognitive faculties such as to be disposed to form belief in God—theistic belief is warranted apart from theistic argument. Plantinga contends that this model is likely true if theistic belief is true; and on the other hand, the model is unlikely to be true if theism is false. This connection between the truth-value of theism and its positive epistemic status suggests to some that the goal of showing theistic belief to be externally rational or warranted requires reasons for supposing that theism is true (Sudduth, 2000). It should be noted that though Reformed epistemology denies that theistic arguments are necessary to rational belief in God, many of its adherents see theistic arguments of various sorts as providing that belief with additional warrant. The position that faith addresses issues beyond the scope of rationality holds that faith supplements rationality, because the scope of rational human knowledge is limited. In essence, under this view, faith corresponds to beliefs that, although quite possibly true, cannot yet be fully grasped by our reason. Under this view, faith is not static belief divorced from reason and experience, and is not illegitimate as a source of knowledge. On the contrary, belief by faith starts with the things known by reason, and extends to things that are true, although they cannot be understood, and is therefore legitimate insofar as it answers questions that rational thought is incapable of addressing. As such, beliefs held by this form of faith are seen dynamic and changing as one grows in experience and knowledge; until one's "faith" becomes "sight." This sort of belief is commonly found in mysticism. It is irrational or unacceptable to accept theistic belief without sufficient or appropriate evidence or reason. There is not sufficient/appropriate evidence or reason for theistic belief. Belief in God is irrational. Reformed epistemologists, however, deny the first premise — namely, that belief in God is irrational unless supported by sufficient evidence, where evidence is construed as providing propositions from which to infer God's existence. They contend that the requirement is unduly strict, for there are many reasonable beliefs that one may accept without argument (for example, belief in other minds, belief in an external world, and belief in the past). Moreover, many perceptual beliefs are not formed by way of arguments: e.g., one does not formulate an argument, "I'm being appeared to 'treely'; the way one is appeared to is the way things are; therefore: I am seeing a tree." Rather, upon seeing a tree, one simply believes one sees a tree. We might say that the experience epistemically "grounds" the belief without contributing to an argument on the basis of which one accepts it. Such beliefs are properly basic and need no argument to substantiate them. Reformed epistemology therefore rejects as arbitrary the evidentialist requirement of an argument to prove the existence of God, but not the existence of other persons, the truth of propositions about past, or the reality of the external world. Although Reformed epistemology has flourished among several theistic philosophers, it has been criticized by theists and non-theists alike. Those of faith have frequently criticized Reformed epistemology for its commitment to negative apologetics, counter-arguments to arguments that faith is not rational, the fact that it offers no reasons for supposing that theism or Christianity is true (so-called positive apologetics), and its claim that any such inferences are unsound. Criticisms from those critical of (or agnostic toward) faith as rational have included that Reformed epistemology rests on the presupposition that there is religious truth, but does not present any argument to show that there is any (compare Fideism). Another common criticism is that as a tool for discriminating justified from unjustified constituent beliefs, Reformed epistemology falls short; that it springs forth from a presupposition that within each of us resides a doxastic mechanism (i.e. a mechanism for reasoning about beliefs) that generates religious convictions, belief in God, etc., supporting the conclusion that such beliefs are innate, hence properly basic. Rationalists argue that beliefs held by faith, without evidence, contradict one another. Thus most "faiths," in the sense of "religions," hold that their view is correct and that other religions are false religions. The Bible, for examples, says, "Thou shalt have no other Gods before Me." Therefore, of the exclusive religions held through faith, either one is correct and all others are wrong, or they are all wrong. Rationalists argue that if, in all cases but one, faith leads to incorrect belief, then it is wrong in that one case to expect faith to lead to correct belief. In short, the Great Pumpkin Objection states that Reformed epistemology is so liberal that it allows belief in any sort of far-fetched entity to be justified as simply foundational or basic. Someone might, for example, take as basic the belief that The Great Pumpkin is all-powerful, just as the Reformed epistemologist takes a similar belief in God as basic. Perhaps the belief is grounded in an experiential belief, such as Plantinga (1993b) describes. 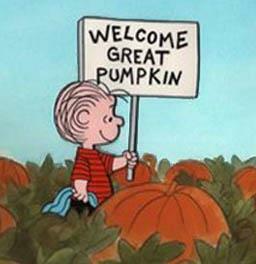 Thus, the objection intends to show that there must be something wrong with Reformed epistemology if it allows belief in the Great Pumpkin to be warranted as basic. Plantinga's answer to this is that the objection simply assumes that the criteria for "proper basicality" propounded by Classical Foundationalism (self-evidence, incorrigibility, and sense-perception) are the only possible criteria for properly basic beliefs. It is as if the Great Pumpkin objector feels that if properly basic beliefs not be arrived at by way of one of these criteria, then it follows that just 'any' belief could then be properly basic, precisely because there are no other criteria. But, Plantinga says it simply doesn't follow from the rejection of Classical Foundationalist criteria, that all possibility for criteria has been exhausted, and this is exactly what the Great Pumpkin objection assumes. Plantinga takes his counter-argument further, asking how the GP objector "knows" that such criteria are the only criteria. The objector certainly seems to hold it as 'basic' that the Classical Foundationalist criteria are all that is available. Yet, such a claim is neither self-evident, incorrigible, nor evident to the senses. This rebuts the Great Pumpkin objection by demonstrating the Classical Foundationalist position to be internally incoherent, propounding an epistemic position which it itself does not follow. Broadening of the definition of faith to include faith as a belief that rests on logical proof or material evidence. Weakening of the definitions of proof, evidence, logic, rational, etc., to allow for a lower standard of proof. Attacking the epistemological underpinnings of rationality by asserting that certain beliefs not supported by reason or evidence are still properly basic because they are intuitive or that we are "naturally inclined" to believe them. The semantic strategy (number 1) is common to those who hold that faith addresses issues beyond the scope of rationality, whereas the epistemological strategy (number 2) is employed by those who hold that faith underlies rationality. Other people of faith have adopted the position that faith is implicitly irrational and have embraced the putative irrationality of faith as a demonstration of devotion to one's beliefs and deity. For example, Fideism specifically recommends that one not be rational. The Roman Catholic Church has always been critical of any approach that does not see the place of natural revelation within its schema of epistemology. Nevertheless, the emphasis on revelation being the primary means of knowing God is kept within its system. ^ See Calvin's Institutes of the Christian Religion Bk. I, Chap. III. ^ Alvin Plantinga. "Reason and Belief in God". Faith and Rationality (Notre Dame: University of Notre Dame Press, 1983) 27. ^ a b Lewis, C. S. (2001). Mere Christianity: a revised and amplified edition, with a new introduction, of the three books, Broadcast talks, Christian behaviour, and Beyond personality. [San Francisco]: HarperSanFrancisco. Sudduth, Michael. (2000). "Reformed Epistemology and Christian Apologetics". .